Dallas Fire-Rescue blocked off a street not far from Baylor Medical Center because of a fallen power line near Fitzhugh Avenue and Bryan Street. A cold front arrived in North Texas on Wednesday night, bringing gusty winds and chilly temperatures. Heavy winds knocked down some power lines in Dallas, where most of the power outages in North Texas were reported. Oncor Electric Delivery said it had nearly 3,800 power outages in North Texas as of about 11:30 p.m. Most of the outages -- 3,159 -- were in the company's Dallas Metro Area, with 614 reported in the Fort Worth Metro Area. Oncor had reported more than 5,000 outages earlier. By 11 a.m. Thursday, those numbers had dropped to only a few hundred in DFW. The hospital does not have any power outages, but a home in the area was without electricity. Firefighters said it could take some time for the power line to be repaired because of outages across the city. 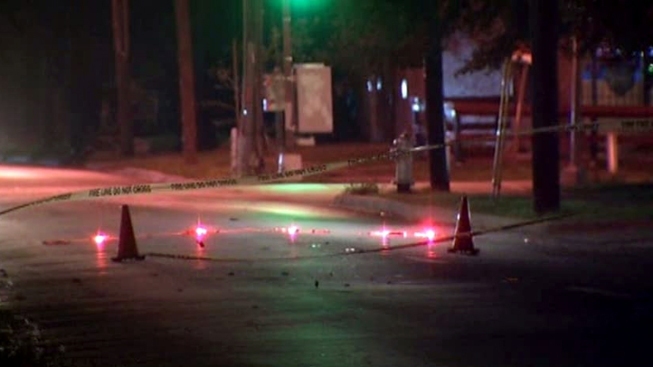 There were also reports of downed power lines at East Page Avenue and Cumberland Street in Oak Cliff.